Indian Oil Corporation is currently trading at Rs. 166.60, up by 0.85 points or 0.51% from its previous closing of Rs. 165.75 on the BSE.The scrip opened at Rs. 168.00 and has touched a high and low of Rs. 169.40 and Rs. 166.20 respectively. So far 92719 shares were traded on the counter. The BSE group 'A' stock of face value Rs. 10 has touched a 52 week high of Rs. 231.30 on 31-Aug-2017 and a 52 week low of Rs. 150.15 on 28-Jun-2018.Last one week high and low of the scrip stood at Rs. 169.90 and Rs. 165.40 respectively. The current market cap of the company is Rs. 161944.43 crore. 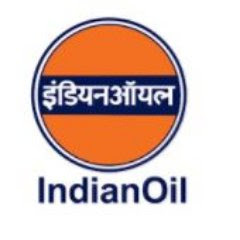 The promoters holding in the company stood at 56.75%, while Institutions and Non-Institutions held 17.14% and 26.10% respectively.Indian Oil Corporation (IOC) has signed up to buy crude oil from the US through a term-tender deal. The company has signed a contract to buy about 6 million barrels of US crude oil under single tender for delivery in November 2018 to January 2019.